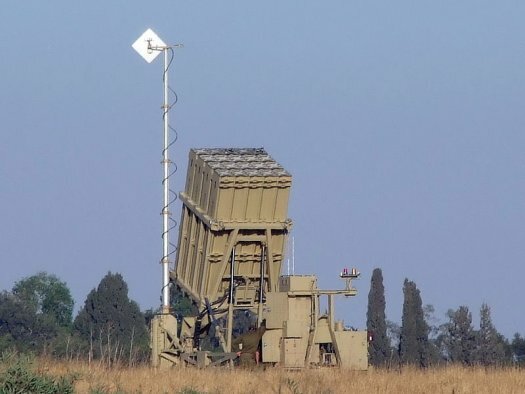 Due to the rising tensions in the countries neighboring Northern Israel, the IDF has recently positioned multiple "Iron Dome" anti-rocket systems around Israel's north. Some of the installations are nearby to Israeli Arab villages, and NRG/Maariv reports that today a group of Israeli Arabs cursed the IDF soldiers manning the installation, and pelted them with rocks till the police arrived. A 14 year old Israeli Arab was arrested. The IDF denies that the recent placement of Iron Dome batteries has anything to do with the insurgency in Syria or the alleged chemical and game-changing weapon transfers. The question is, why would Israeli Arabs hurl curses, harass and stone IDF soldiers -- when the anti-rocket system protects them as well. What a perplexing country we live in. They should have a sign saying "Abandon logic all ye who enter here." And to their twisted logic, their lives are unimportant as long Jews die. Israel's Jews don't have the guts to do to the Fifth Column Arabs what the Czechs did to the Nazified Sudeten Germans. Since they're unhappy living in Israel, arrangements can be made for them for to live elsewhere - where they can't endanger a single Jewish life. Protecting Jew-hating Arabs' lives isn't worth the sacrifice of a single Jewish life. Labor Zionism, R.I.P. – Phantom Nation [audio] - These elections marked the end of an era.